Namibian Impressions is designed for those who only have a few days, yet wish to take home the most beautiful impressions from Namibia. 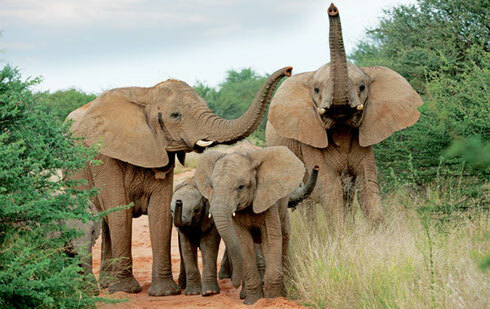 Let yourself be enchanted by the diversity of wild animals on the Okapuka Ranch and in the Erindi Game Reserve, by the majestic scenery of the Erongo Mountains including a visit to the descendants of the original inhabitants of Namibia (the San) and by rock art created more than 1000 years ago. 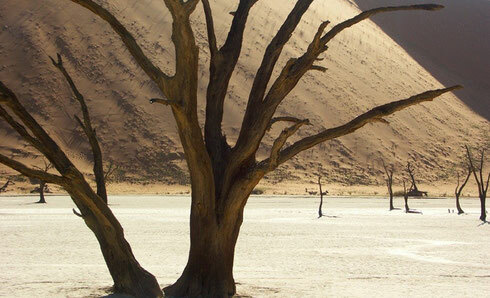 Conclude your trip with adventure activities on the Namibian coast and the beauty of the dunes in Sossuvlei. On the day of your arrival we will welcome you at the International Airport Hosea Kutako near Windhoek. After the hand over of your rented car and discussing your itinerary with you in detail, you will drive to Okapuka Ranch. Okapuka Ranch is home to various species of antelope, giraffes, white rhinos and crocodiles. Today you are off on your adventure trip through Namibia! 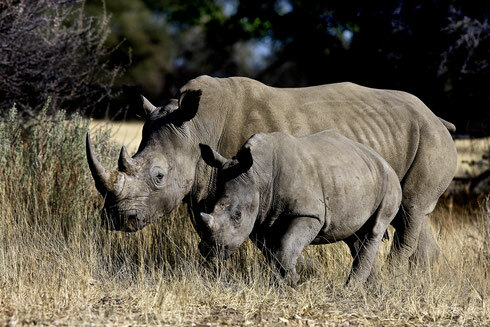 Erindi Game Reserve is famous for its variety and numbers of game, such as elephants, hippos, crocodiles, lions, wild dogs, giraffes and various antelope species. 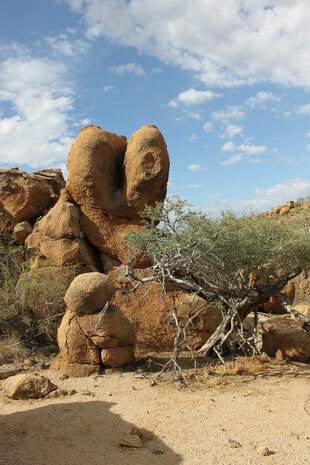 On your route from Erindi Game Reserve to Ai-Aiba Lodge you are into close contact with the beauty of the Erongo Mountains.In the late afternoon a game ranger will take you for a drive through the unique landscape of the Ai-Aiba Lodge culminating in a visit to the ancient rock paintings followed by a sundowner among the towering granite boulders. On the morning of this day you may visit the “Living Museum”, a project in support of the San people, where visitors can become acquainted with the way of life of these most ancient inhabitants of Namibia. The Bushmen and their women will show you how they hunt, how they fashion ornaments and how they light a fire by friction. 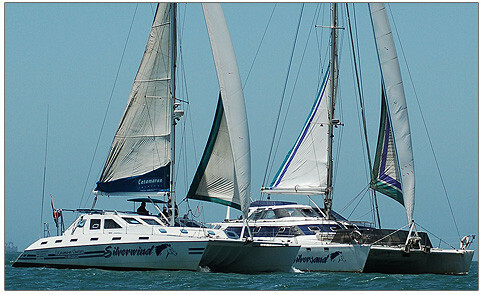 Your day begins with a Catamaran Tour on the ocean in Walvis Bay. On this exciting trip - with some luck - you may watch dolphins frolicking alongside your boat, while more surprises are in store for you! 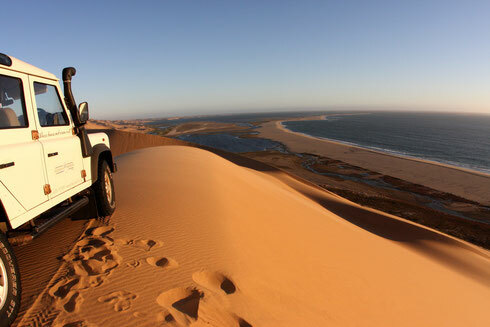 A guide will take you on an exhilarating drive through the dunes to Sandwich Harbour (a nature reserve). Today’s journey takes you through the Gaub- and Kuiseb Canyon to Sossuslvei. During this journey you will experience once more the beauty of the breathtaking vistas of this country. Today you return to your point of departure – Windhoek – where you spend the last night. Today you drive to the international airport Hosea Kutako for your return journey. We trust you had a wonderful and unforgettable stay in Namibia.